The 13th Annual Amherst Island Pursuit Race will for the third time run as a fundraiser for Able Sail Kingston which offers recreational and competitive sailing instruction for persons with disabilities. This event is completely run and organized by local volunteers. The 2013 fundraising goal is $5000. Another great regatta at KYC! 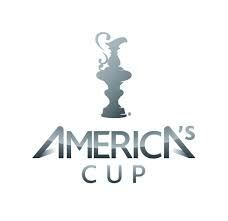 Thanks for all competitors, volunteers, sponsors, staff, and members who helped make the regatta such a great success. 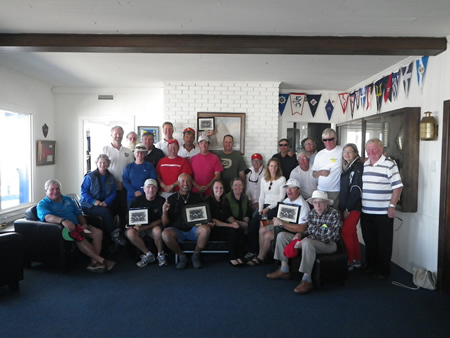 Congratulations to KYC's Peter Van Rossem for placing 2nd in the regatta. 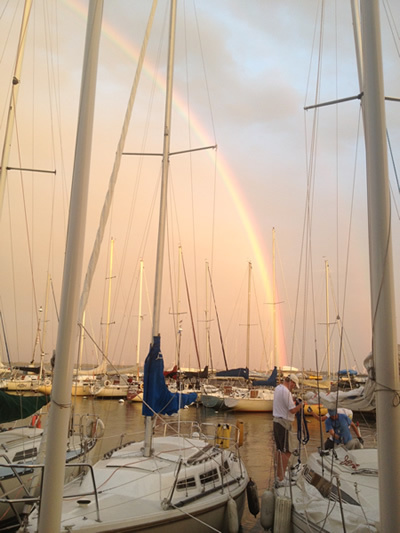 Thanks to KYC's Jeff Gibson for this shot of the rainbow that greeted racers at the end of Thursday's race night this week. The Board has engaged Shoreplan Engineering to provide a complete assessment of all of KYC’s underwater infrastructure. This includes the breakwater, gabions, center dock, and club house foundations. This will provide the board with both the cost and options for addressing the center dock as part of the Harbour Redevelopment project, but also to provide accurate information about the condition of all other underwater aspects of the club for long term planning. You may see a professional dive team at the club performing the underwater inspection and documentation of everything from the gas dock to the East to the Maitland Street beach at the West. The Board has approved Revision 6 (as posted below) to move forward with the development of an RFP for tendering. This revision increases harbour entrance widths, and entrance channel widths, and include additional enhancements for swimming and JS launch. We have two wave pressure sensors placed in the new waterlot area to measure actual wave conditions that the new attenuator and docks will have to deal with. This is a project being carried out by KYC in conjunction with Ryan Mulligan, a coastal engineer at Queen’s University. The data collected will be submitted to potential suppliers in order to ensure that solutions will provide the desired level of wave attenuation. The sensors will be extracted and replaced for an additional two month into the Fall to further collect data for the stronger winds more common at that time of year. We have engaged an Electrical Engineering firm to provide an assessment as well as design and costing for upgrading the club electrical infrastructure. This is needed to supply an expanded harbour with proper electrical service as well as to upgrade aging electrical system for the club house, gas dock, and Saints Rest. A Parking study is now underway. 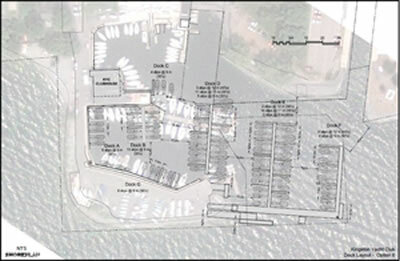 We will be evaluation our current parking availability, requirements, and how that may change with an expanded harbour. We are exploring various options to improve and/or increase on site parking, and well, we will work with the city to explore options to increase city parking in the vicinity of the club.